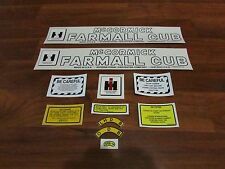 Farmall Cub decal set. In this case we will notify you so you can decide to wait for our new inventory. We have over 30 years experience in agriculture. Case/International Harvester - CUB, CUB 154, CUB 184, CUB 185. Fits Cubs with Zenith style carb. International Orders. 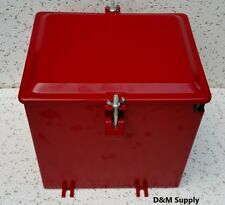 New Deluxe heavy duty painted battery box for oem# 51680DB. for H, HV, OS4, Super H, W4. We have over 30 years experience in agriculture. International Orders. Case/International Harvester - 300, 350, 400, 450 Indust/Const, 460, 560, 606, C221 Eng, D236 Eng, H, M, MD, Super H, Super M, Super MD, Super MTA, Super W4, Super W6, Super WD6, W4, W6, WD6. Inlet I.D. 2-3/8", Outlet O.D. 2-1/2", O/A Length 29", Inlet Length 2-1/2", Outlet Length 14", Shell Length 13". We have over 30 years experience in agriculture. We will work for you to get what you need. International Orders. Case-IH TRACTOR: 230. Case-IH TRACTOR: A. Case-IH TRACTOR: B. Case-IH TRACTOR: C. Case-IH TRACTOR: SUPER A. Case-IH TRACTOR: SUPER A1. Case-IH TRACTOR: SUPER C. Case-IH TRACTOR: 100. 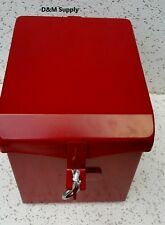 New Deluxe heavy duty painted battery box for oem# 350634R91 for C, Super A, Super C. International Orders. New Deluxe heavy duty painted battery box for oem# 51707D 51713DXB M, MD, MV, Super M, W6, WD. We have over 30 years experience in agriculture. International Orders. 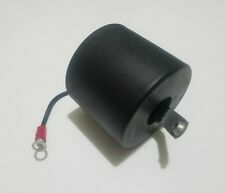 Lube filter for diesel and gas applications. Outside Diam. : 3-11/16 (93.7), Length: 4-3/8 (111.1), Thread: 1-12 UNF-2B. International Orders. 424, 444, 504, 2404, 2424, 2444, 2504, GAS. A, AV B BN-SN97938>. For the following models. C, SUPER C, SUPER H, HV, 100, 200, 230, 240, 300, 340, 350, 404. This is a good quality box witch includes box and top cover, COVER BOLTS, REPLACES IHC PART # 51707, 51713dxb. 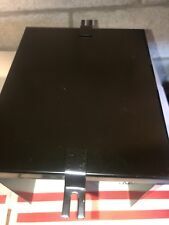 This is a super nice battery box at a reasonable price. Part Number 43983D. ALL MODELS WITH NON-PRESSURIZED COOLING SYSTEMS. New aftermarket carb i have used these in our restoration shop and they work great. IH / INTERNATIONAL HARVESTER / FARMALL TRACTOR. FARMALL 4 CYLINDER WITH IH DISTRIBUTOR. IGNITION TUNE UP KIT & 12V COIL . A, B, C, H, HV, M, MD, Super A, Super C, Super H, Super M, Super MTA. KIT CONTAINS: SPARK PLUG WIRES, SPARK PLUGS (AL386), DISTRIBUTOR CAP & IGNITION KIT & 12V COIL W/ INTERNAL RESISTOR. FITS: COCKSHUTT 60 TRACTOR. IH / INTERNATIONAL HARVESTER / FARMALL TRACTOR. A, AV, B, BN, Super A (Early; up to sn 355669). FITS: OLIVER Super 66 (Gas), 60, 66 TRACTOR. AIR CLEANER CUP (BOWL) & CLAMP . 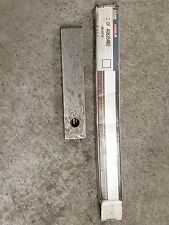 Brand New - Cat I top link with 13" body, adjusts 17 to 26 inches overall length. [Add a map to your own listings. FREE Trial!] (https://applications.ebay.com/selling?ViewEAppDetails&stab=1&appType=1&appId=newage.mystoremaps.com). 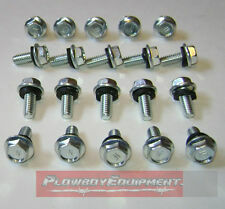 NEW 5/16" by 3/4" zinc hex head hood bolts for 06, 26, 56, 66, 86 Series IH Tractors. These are NOT the hood bolts that have the shoulder on them. This is a set of 20. One new Deestone. This tire is 8 ply tube type, 34.1 " tall, 8.6" wide & fits on a 5.5" wide wheel. This tire fits John Deere & others. The price is for ONE tire, you may buy two tires by changeing the quantity when you Buy-it-now. 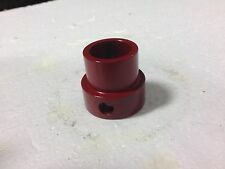 FARMALL ROCK SHAFT BUSHING. 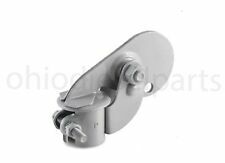 FITS FARMALL SUPER A, 100,130,140 WITH FAST HITCH. WILL NOT FIT FARMALL CUB. IHC FARMALL MCCORMICK DEERING SERIAL NUMBER TAG ONLY FITS EARLY STYLE 15-30 TRACTOR YOU STAMP THE SERIAL NUMBER AND OTHER NUMBERS. (IH / INTERNATIONAL HARVESTER / FARMALL TRACTORS. H4 MAGNETO. Above units with IHC H4 magneto . DISTRIBUTOR CAP & IGNITION TUNE UP KIT . incorrect part prior to you ordering the correct part ). No modifications needed to install. New intake and exhaust manifold. Exhaust Stub. Installation manual. Carburetor gaskets and bolts. 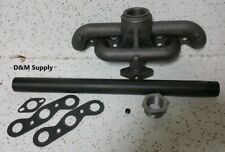 Manifold Gaskets and bolts. The gauges have a BLACK bezel, black background & white letters/ numbers & will fit in a 2" panel hole. NOTE - Check things before ordering! Other hardware may need to be acquired locally to make this gauge work. IH / INTERNATIONAL HARVESTER / FARMALL TRACTORS. Ignition kit (points, condensor & rotor) for H4 Magneto, Distributor Cap, H4 Magneto coil cover & Gasket set. H4 MAGNETO. Above units with IHC H4 magneto . Kit includes: Alternator, Wiring, Bracket, Resistor, Hardware, and Instructions. This Kit will NOT fit the SUPER H or SUPER M. There is interference from the Manifold. IH / INTERNATIONAL HARVESTER / FARMALL TRACTOR. FARMALL 4 CYLINDER WITH IH DISTRIBUTOR. A, B, BN, C, CUB, H, HV, M, MD, MV. (POINTS, CONDENSOR & ROTOR BUTTON). SUPER A, SUPER AV, SUPER C, SUPER H, SUPER HV, SUPER M, SUPER MTA. Tractor Exhaust Silencer / Weather Flap / Rain Cap / Exhaust Cap. Weather cap to prevent water, snow, and debris from entering your exhaust pipe. Fits OD Pipe of 1" - 1-3/16". Monoblock, double spool, double acting, 9 gallon/minute capacity. There are holes in the valve to mount it. Every application is different, so there is no set way to mount it. What can this valve be used on?. You will be buying one after market Decal set for F-14 Farmall and have. NEW universal PUSH / PULL - ON / OFF light switch. Can be used on many AG & Light industrial machines. This switch is non fused. For 6 - 28 volts DC. TOTAL LENGTH - 3.230". 358660R21, 358660R22, 358660R1. IH / INTERNATIONAL HARVESTER FARMALL. BRAKE BAND ( PAIR) - 2 NEW BRAKE BANDS . (POINTS, CONDENSOR & J4 ROTOR BUTTON), J4 COVER & GASKET KIT & J4 COIL. Farmall 4 Cylinder with J4 Magneto. IH / INTERNATIONAL HARVESTER / FARMALL TRACTOR. CUB, & CUB LOBOY. DOES NOT FIT PRESTOLITE OR DELCO DISTRIBUTORS, IH DISTRIBUTOR. CUB, & CUB LOBOY. IH / INTERNATIONAL HARVESTER / FARMALL TRACTOR. FARMALL 4 CYLINDER WITH IH DISTRIBUTOR. IGNITION TUNE UP KIT . VERIFY YOUR RESPECTIVE TRACTOR REQUIRES THE AUTOLITE 386, AND NOT AUTOLITE 3116. Farmall Cub & Cub Loboy 12 Volt Conversion Kit. It includes a Mini 35 Amp 12 Volt Negative Ground Alternator w/Pulley and Farmall Cub/Cub LoBoy Bracket to mount the alternator. Farmall IH Cub & Cub Loboy 12 Volt Alternator & Bracket Conversion Kit. 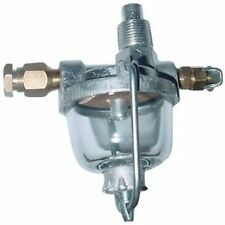 For 4 cyl models w/2 3/16" ht distributor cap. 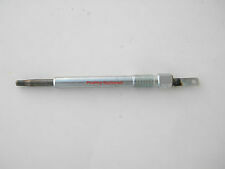 Replaces Part Numbers 0201-4656B, 351693R92. IH / INTERNATIONAL HARVESTER / FARMALL TRACTOR. CAN ALSO FIT: IH FARMALL 100, 130, 140. A, AV, B, BN, Super A, Super A-1, Super AV, Super AV-1. FINAL DRIVE GASKET KIT .